Buildings, in many ways, represent the opposite of nature. From a modest suburban house to the most majestic skyscraper, a building signals the presence of people in a place, differentiating human spaces from their surroundings. Where do the Gulf Coast Oysters fit into the BP Oil tragedy? Are they victims or saviors? Could they possibly hold the key to a massive gulf-coast clean up? Every now and again we find something on the web, or in print or, in a museum, and say “Gosh! We should have had that up on the site a while ago.” During some recent web-trolling we came across this fantastic little piece by Juhani Pallasmaa, the acclaimed Finish Architect, Professor and Artist. Scientists at the J Craig Venter Institute in Rockville, Maryland have rocked the world with the creation of the first ever manmade cell. Although small in size, this feat is being hailed as one of the greatest scientific (and perhaps architectural) breakthroughs of this age. Welcome Alex! Alex will be traveling the world for the next few months and then take up his preceptorship in NYC with the notable firm of DS+R. During his travels he’ll stop in here to say a few words. We think you’ll be a great addition to the Animal Architecture team. For those of you who know TED and TEDx this is definitely a cause for excitement. For those of you new to the whole TED-thing we highly recommend checking it out. Natalie produces engineered systems that invite participation, document change over time, and suggest alternative courses of action that are ethical and sustainable. OTTAWA (AFP) – A Canadian ecologist has discovered the world’s largest beaver dam in a remote area of northern Alberta, an animal-made structure so large it is visible from space. Another heated debate surrounding vertical farming is presented to us via AlterNet. This post, by Stan Cox and David Van Tassle, both plant-breeding researcher at the Land Institute in Salinas Kansas is decidedly on the anti-vertical farming side of things due to what the authors claim is the sheer impossibility of vertical farming. … this project just might illustrate some of the conceptual shifts, that is posthumanist ideas, that appear elsewhere on this site, but have yet to make it into the architectural world. We don’t have an award yet for “Most effective human animal partnership in the construction of a building” but if we did, Anton Garcia-Abril, that award would go to you sir. Well done. Bee part of the buzz – enter London’s unique architectural competition and be in with the chance of winning the highly desirable ‘Golden Beetle’ trophy. The City of London Corporation and British Land invite you to take part in the inaugural Beyond the Hive competition. The competition, designed to encourage biodiversity in the City of London, asks entrants to design a five star hotel for our insect friends. This year, among the many recipients is one of our previously featured artists, Fritz Haeg. We find Fritz’s award particularly exciting because is recognizes his a-typical approach to practice and his unique focus on the habitats of other species as valuable to the practice of Architecture and Design. We first met Fritz at the Systems of Sustainability symposium at the University of Houston last year and have been closely watching his work since. Congratulations Fritz. This a great award for a so many reasons. Work with professional artists and architects from international art collective Delta Arts and the Geffrye Museum to create a temporary architectural structure inspired by natural habitat systems to be exhibited at the Geffrye Museum. 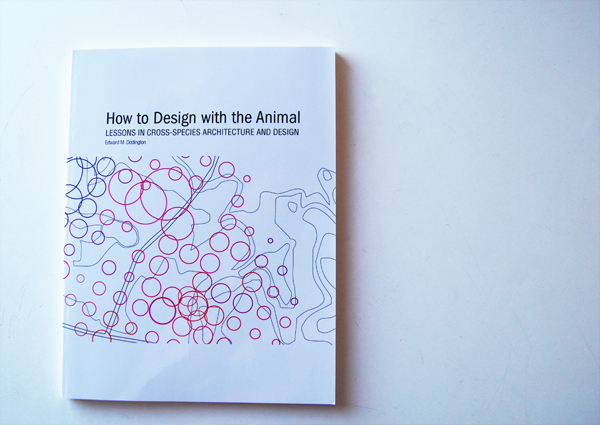 We’re happy to announce that Melissa McDonnell, M.Arch ’11, Rice University (in partnership with Animal Architecture’s Ned Dodington) has won a prestigious RDA (Rice Design Alliance) Houston Initiatives Grant for a very cool project. The project is titled “Urban Aeries” and aims to design urban roosting habitats for Houston’s migratory bird population. Simon Delobel from the Verbeke Foundation, (NL) recently wrote in to alert us to the works of Jef Faes. Jef Faes is a Belgian artist working in a particularly interesting medium — bee hives. Up-coming guest lecture by Natalie Jeremijenko, one of our favorite ecological engineers, along with Nigel Snoad of Microsoft on April 6th at Parson’s Lang Center, in New York City. More information about the upcoming Critical Ecologies Colloquium at Harvard GSD this coming weekend. Thanks to Brooke King for the added info.